One of my new year’s resolution back in January was to go camp out somewhere by bike. It wasn’t meant to be fancy, complicated or far away, it just had to involve bikes, a tent and beer. Despite my relatively small demands, you simply would not believe how hard it is to find a couple of days where all the people we wanted to ride with could make it – I was actually beginning to think it was never going to happen, particularly after it was cancelled the first time around. At the beginning of August we finally found a window of opportunity and made a mad dash to meet John from Marin Bikes, Dave from Paligap and Jamie from Paligap/Wideopen Magazine for a very mini adventure of just one night. In a car park early on a Thursday morning, Dave and I set eyes on our steeds for first time, Marin’s new Four Corners’ adventure/gravel/everything bikes which looked like they’d be whole bunch of fun to ride. Mine had a triple up front (which I was later to be glad of) whilst Dave was on a Rasta number with a 1-11, the Four Corners Elite. I also had a pretty meaty, heavy rear tyre (which I was not glad of when my legs got tired) and Dave was rolling on some 45c WTB Riddlers. 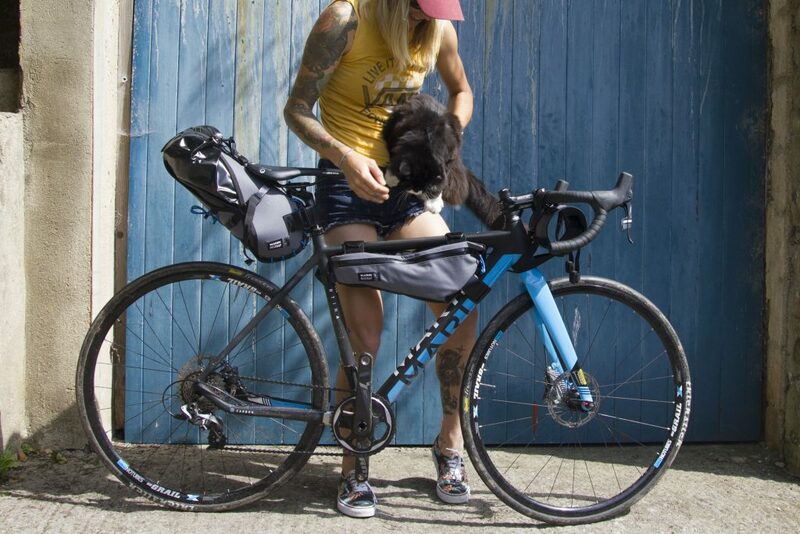 In the month’s preceding the trip, John had ordered custom Marin x Restrap bags which made our bikes look even more badass, with a saddle bag, frame bag and bar bag apiece. Apart from the frame bag, they made use of waterproof stuff sacks that you just bung your gear before securing using the tough, handmade carriers with strong clips. Our 1.8 kilo tent fitted into Dave’s saddle bag perfectly and stayed secure throughout the trip. But I’m jumping ahead. 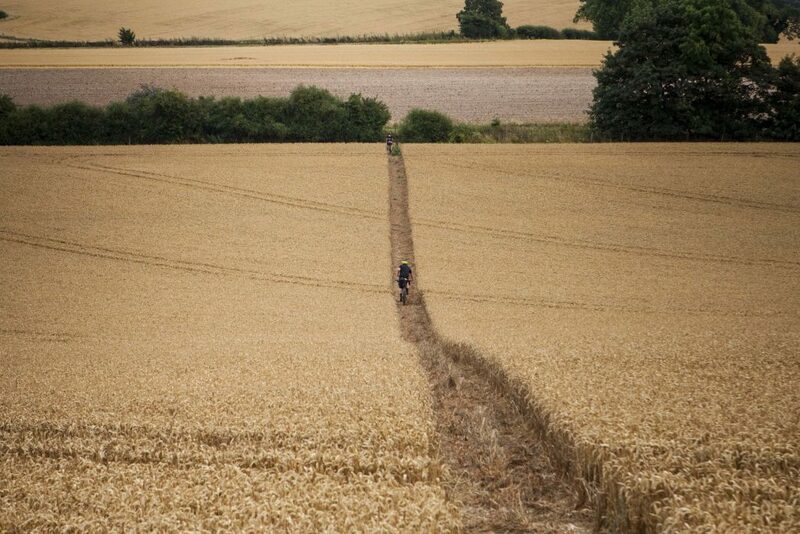 The route we were to ride was the Ridgeway, an ancient track that’s described as Britain’s oldest road. I was really keen on going as the largely off-road route not only runs through some stunning landscapes in the Chilterns and North Wessex Downs but also passes some really fascinating Neolithic sites. People have been using the Ridgeway for about 5000 years, transporting goods along the chalk ridge as it was easier than navigating through woods, over streams and through villages below. One of the things you can see on your way is the chalk White Horse on the hill in Uffington that’s approximately 3000 years old. There’s all sorts of other amazing stuff too. Bikes and bags sorted, we jumped in a van and from our carpark near the end of the trail, drove back to the start at Ivinghoe Beacon where we were dropped off. Then all we had to do was ride (and navigate). Luckily John had brought a Ridgeway trail map which made the whole thing possible because the route for cyclists does meander a bit on and off-road so it can be confusing. 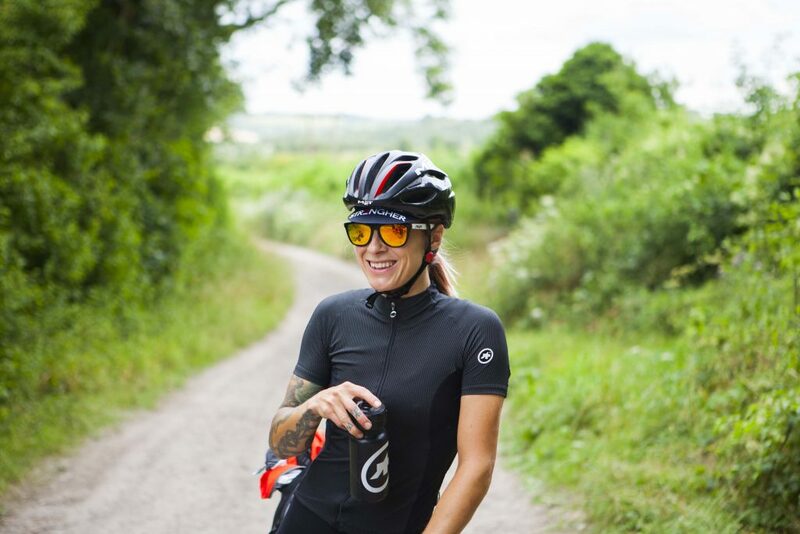 The riding was a mixture of roads, bridleways, forest tracks and trails with the surface changing between tarmac, hard packed dirt, grass, a LOT of very sharp, flinty gravel and some chalk. We were lucky it was dry as it would have been extra tough work otherwise. As it was, the main fatigue came from endlessly bouncing over chunky, lumpy tractor tracks that had sun-baked or grinding our way through grass. The best bits were (of course) the few downhill, dirt trails through the trees but even the road sections were memorable – it’s such a pretty part of the world. We’d been considered camping out in the wilds but decided we preferred civilization because: beer. Momentarily leaving the trail, we headed to Crowmarsh Gifford, a really nice little town on a river with assorted pubs for us to choose from. We camped at Bridge Villa Camping which was pretty pricey (£10 per person!) but really lovely; clean, quiet and with amazing showers. Dinner was really good too, just up the road at The Queen’s Head. The following morning we rode back to the Ridgeway and continued. It was more off-road than the previous day, probably at least 85%. 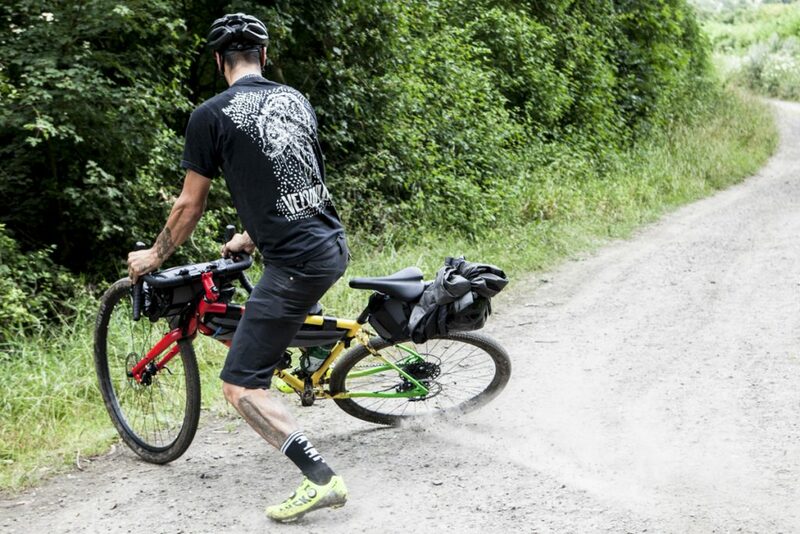 We suffered a couple of punctures on the flinty gravel bridleways and enjoyed some hardened chalk sections that meant we could roll a little faster. It’s just amazing how little distance you can cover off road compared to on and how tiring it is, even when not in a hurry. There was the odd crappy bit where you had to ride straight across a field through grass for WAY longer than was fun and some incredibly bumpy sections too, but all in all, it was a right good laugh! At the end of the day we rolled up to our cars, pretty pooped – it was also baking hot and we were covered in sweat and dirt and just generally gross. By some kind of mistake we’d actually parked the cars a mile from Avebury itself and not made it to the town itself which I really regret because it’s means we didn’t really ride the whole Ridgeway plus Avebury is totally amazing! Way more impressive than Stonehenge, Avebury is a village and Neolithic monument containing three stones circles and nearby there’s Silbury Hill and West Kennet Long Barrow. The stones have been there for 4500 years and it’s one of the coolest things I’ve ever seen, made even greater by the fact you can walk amongst the stones. Next time (and there will definitely be a next time – we packed so much fun into 36 hours!) I’ll do the whole thing and spend some time strolling about Avebury.